In this article, we look at fatigue compliance under the Heavy Vehicle National Law (HVNL) and Heavy Vehicle (Fatigue Management) National Regulation (Regulations), as well as some of the factors influencing businesses’ Chain of Responsibility (CoR) compliance frameworks in relation to fatigue. Driver fatigue and drowsy driving is a major safety hazard for all vehicles using Australia’s roads. From 2013 to 2017, more people in NSW died in fatigue-related crashes than drink driving crashes. This is somewhat unsurprising when you take into account that being awake for about 17 hours has a similar effect on performance as a blood alcohol content (BAC) of 0.05. Telling heavy vehicle drivers and operators to take a break and have a nap is easier said than done. Impractical timeframes placed on transport services, unintended incentives in business practices encouraging drivers to work while fatigued, poorly planned trip schedules and a lack of understanding about work and rest times set out in the HVNL and the Regulation means that fatigue compliance must be deeply and seamlessly integrated into a business’ commercial activities in order to be effective. any person not to act, direct or require a driver or a CoR party to do something that the person knows, or ought reasonably to know, would have the effect of causing the driver to drive while impaired by fatigue, drive while in breach of his or her work or rest hours option, or drive in breach of any other laws to avoid driving while impaired by fatigue. In addition to those duties, obligations concerning work and rest hour options under Part 6.3 and the requirements for drivers of fatigue-related heavy vehicles to keep a work diary under Part 6.4 of the HVNL also seek to avoid driver fatigue and thereby risks to road safety. We set out below some of the difficulties facing businesses in connection with fatigue compliance under the HVNL and the Regulations. The HVNL and the Regulations require that work time and rest time be counted in a certain way. Understanding the rules for counting time helps drivers manage work and rest times and assist other responsible parties in the CoR comply with their duties to manage work and rest time and prevent driver fatigue. resting less than the minimum rest time stated in the standard hours for the period. The standard work and rest hours for a given period are set out in tables in Schedule 1 of the Regulations. “Work time” includes all tasks to do with the operation of the fatigue-regulated heavy vehicle. Loading and unloading the vehicle, inspecting services or repair work performed on the vehicle and recording information or completing a document in connection with the operation of a heavy vehicle (i.e. completing a work diary) all fall within the definition of “work time”. Rest time is self-explanatory, it is all time that is not work time. Whilst the distinction between work and rest time seems relatively simple, there is often confusion about how the two interplay. When does “rest time” end and “work time” start for the purposes of the HVNL and the Regulations? So, for periods of less than 24 hours, time starts from the end of any period of rest time. For example, a driver is required to have a continuous 30 min break every eight hours within a 24-hour window. However, for periods 24 hours and above, time starts from the end of a relevant major rest break, being the longest continuous rest break required for your hours option. For example, for Standard Hours Solo, the 24 hour period starts from the end of a rest break of seven or more continuous hours. The difficulty in counting time was evidenced in the case of Police v Barnes  SASC 196 (Barnes), where a solo driver was charged with working over the maximum limit (12 hours) permitted in a 24 hour period when travelling from the Northern Territory into South Australia. In Barnes, the driver arrived in Alice Springs on 27 November 2014. The following day he did not work at all. He recommenced work at 12.30 pm on 29 November 2014. His work diary recorded that he worked a total of 14 hours between 12.30 pm, 29 November 2014 and 12.30 pm, 30 November 2014. In that period he also had several small rest breaks and one larger continuous rest break from midnight to 7.45 am on 30 November 2014. The issue at trial and on appeal was when to start counting the 24 hour period within which to measure the driver's work hour limit. If time counted following his seven hour and 45 minute break on 30 November then he did not breach his work hour limit. If it counted from 12.30 pm on 29 November then he was in breach. The Court ultimately found that time counted from 12.30 pm on 29 November, being his last “major rest break”. The reason for the Court’s decision was that the legislation only has two categories of rest and work time. A day off work therefore fits into the category of rest time and was the last major rest break to start the count. The National Transport Commission (NTC) released a HVNL Fatigue Issues Discussion Paper in May 2018 (Discussion) to investigate specific fatigue related issues with the HVNL and the Regulations. One of the fatigue issues the NTC investigated was counting work and rest time spent outside non-participating jurisdictions. Section 245 of the HVNL requires drivers travelling from a participating jurisdiction into a non-participating jurisdiction and back again in the last seven days to comply with work and rest hours under the HVNL. Red route: The driver travels from Adelaide to Perth to Port Hedland to Albany to Adelaide within the last 13 days. Whilst in Western Australia, the driver is not required to be compliant under the HVNL, but must comply with the work and rest requirements of Western Australia. Once the driver moves back into South Australia they must comply with the HVNL. The above approach is in conflict with long-standing practice for drivers to comply with the laws of the jurisdiction they are in at the time. 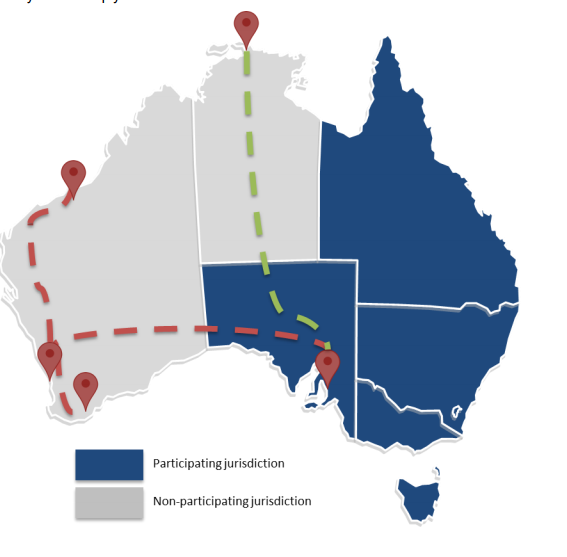 Using the above example, if a driver travels from Adelaide to a non-participating jurisdiction, they must comply with the HVNL until they hit the border of say the Northern Territory at which point they must comply with the Northern Territory’s legislation in respect of fatigue compliance. Whether the HVNL should, for example, apply to counting work and rest time during time spent in non-participating jurisdictions or whether the laws of the non-participating jurisdiction apply to all work and rest time within those jurisdictions is up for debate at the moment. The Discussion Paper can be found here. Under the HVNL you are required to take all reasonably practicable steps to ensure that your employees are suitably trained in CoR compliance. You may also be required to exercise control or influence over the compliance conduct of third parties in your supply chain. Documenting your policies and procedures becomes extremely important, not only for ensuring that those policies and procedures are clear, easily disseminated and consistent, but also to assist your business in showing that “all reasonably practicable steps” have been taken should you be investigated or prosecuted. Telling an investigator or a court that your business warns drivers in the case of a fatigue breach is not nearly as effective, or persuasive, as showing the investigator or court a contemporaneous document evidencing the reasonable steps which took place. Furthermore, the HVNL requires businesses to document their fatigue compliance policies and procedures. 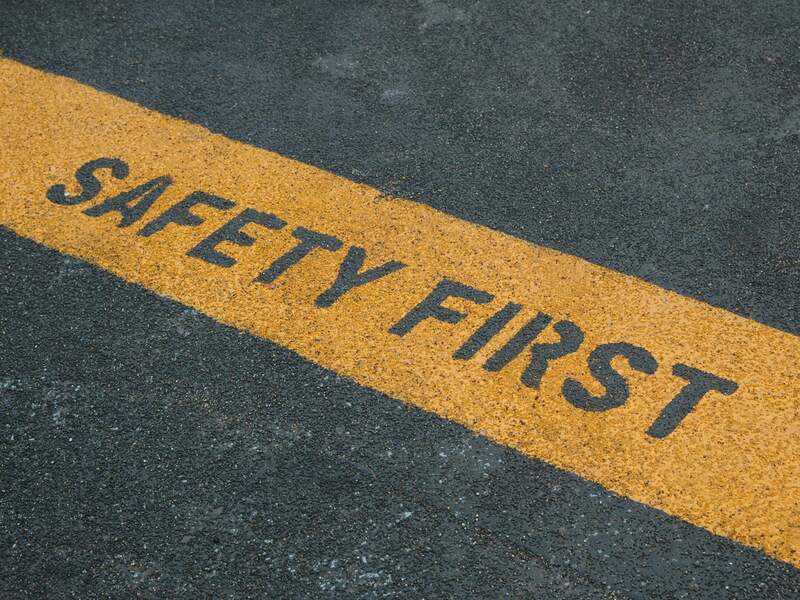 Any document required to be kept under the HVNL and (under s632 of the HVNL) any risk and hazard assessment relating to speed and fatigue management, must be kept for a minimum period of three years. It is a breach punishable by penalty/prosecution if you fail to keep those records. driver (as a self-employed or owner driver). In some circumstances, some businesses may be exempt from certain record keeping obligations. Particularly where it may be extremely difficult to comply with or can result in multiple record keeping systems being kept for different legislative obligations. In these cases, operators can apply for a fatigue record keeping exemption (permit) from the NHVR. Fatigue presents a safety hazard for the road transport industry with various factors causing drivers/heavy vehicle operators to fight the signs of fatigue. It is therefore crucial that businesses have a comprehensive CoR compliance framework covering all the aspects of fatigue compliance, including counting time, work diaries, EWDs, fatigue management exemptions, record keeping requirements and training in fatigue risk management.